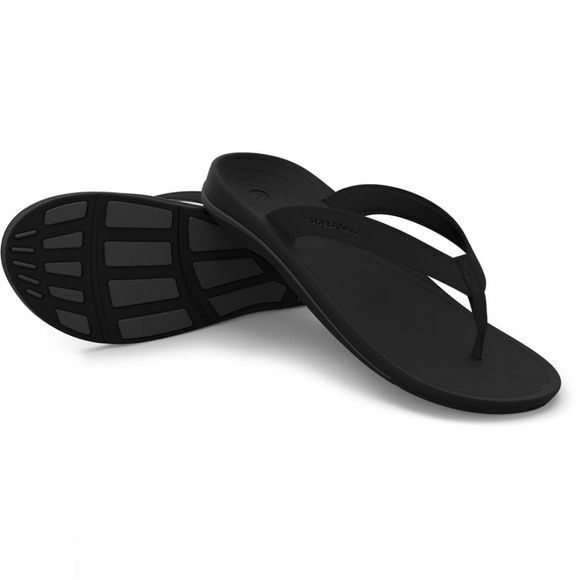 Absorbing impacts while supporting and protecting your foot, the Superfeet Men's Outside Flip Flop ensures comfort goes with you, every step of the way. The deep heel cup helps position your heel to naturally absorb impact and the sturdy foam mid layer Maintains the Superfeet shape and helps channel impact away from your foot. A non-marking outsole provides slip-resistant traction to help you stay sure-footed on wet surfaces.